Here is another very swank and swizzle cool house for sale in California for those of you who are immune to the recession. 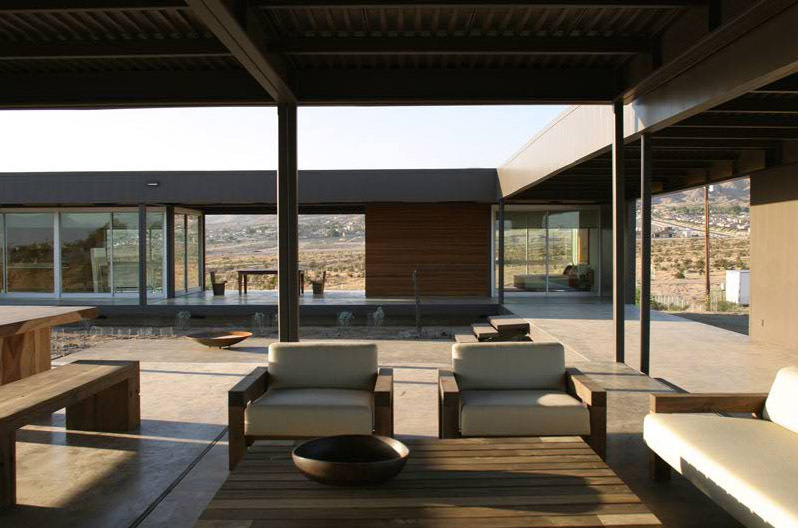 Located in Desert Hot Springs and nick named The Desert House by architectural firm Marmol-Radziner & Associates. Built in 2005 with the use of prefabricated modules and environmentally consciousness using solar powered energy, high efficiency glass and recycled steel framing. In total it consists of a nearly 7.5 acre site on which the main house, guest house, studio and nearly 2,400 square feet of outdoor decks reside.The price? $1,195,000. For more information and images visit Crosby Doe Associates. Thank you again Royalton for the tip.